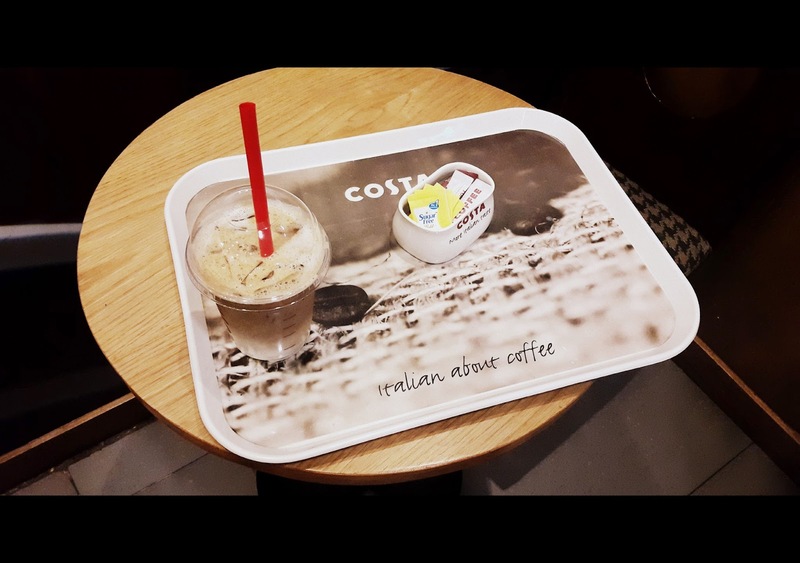 If you're a coffee lover like me, you've probably heard about Costa. Hailed as one of the largest and fastest growing coffee shop outlets in the UK, the brand is coming into its own in India. I am a regular customer at Costa Coffee, located at the third level of the sprawling Ambience Mall, Gurgaon. It is my favorite haunt for several reasons but in this blog post, I'm just going to list my Top 5. 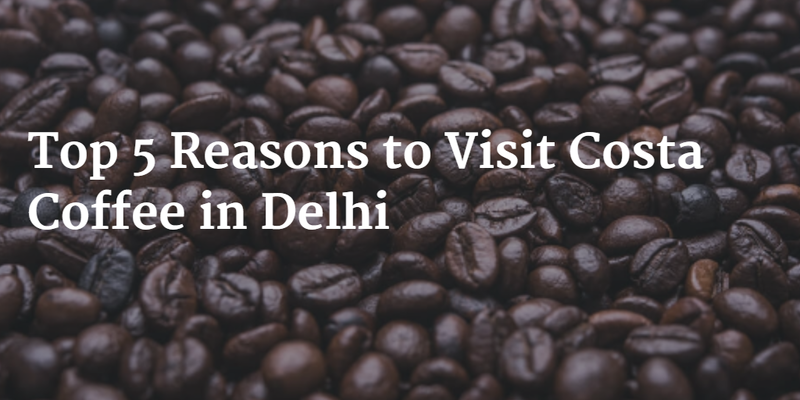 Creating a perfect blend of coffee requires great skill and care. I've noticed that the baristas at Costa are totally committed to their craft. You could simply tell by the foam and the finishing. If you're lucky, they'll be happy to demonstrate how a magnificent Iced Latte is made right in front of your eyes - shaken refreshingly cold - just the way I like. Costa never ceases to surprise me with their never-ending range of drinks - be it iced coffees, freshly brewed iced teas, lemonades, classic coffees, specialty drinks, and coffee/fruit/creamy coolers. 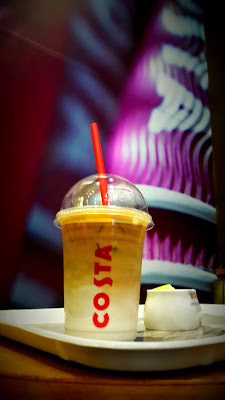 I am a huge fan of the Mango & Passion Fruit cooler, which just costs a mere INR 180 for a small cup. It seems like the baristas have been trained long and hard to be able to serve these magnificent beverages within the shortest time. C'mon, we all know how a great sandwich can complement your irresistible coffee. I generally prefer my latte with a Smoked Chicken and Herb Focaccia. These delicious sandwiches are delivered from TajSATS Air Catering Ltd., which is a joint venture between the Indian Hotels Company (also known as the Taj Hotels Resorts and Palaces) and SATS. 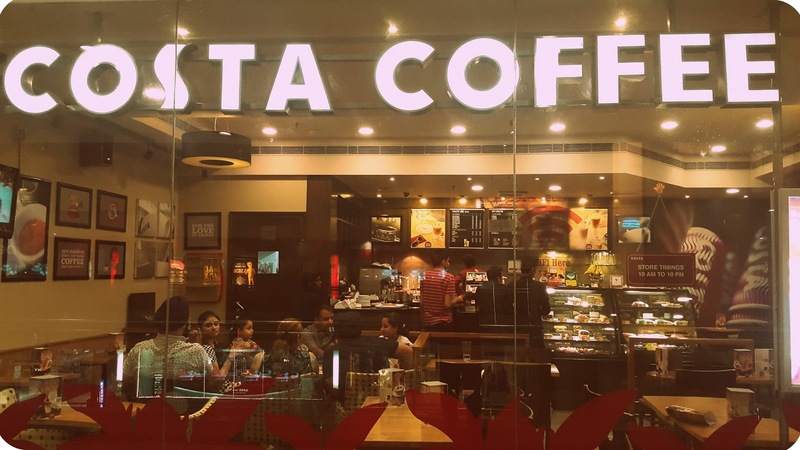 As you probably know that Costa Coffee is a British coffee retail chain in a franchisee arrangement with Devyani International (which is owned by the Ravi Jaipuria Group firm). 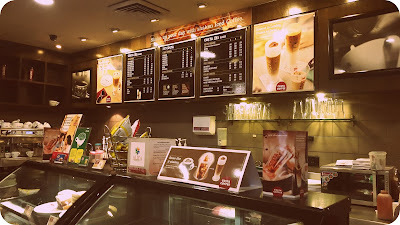 Kudos to them for deploying such a courteous and helpful staff at the coffee shop. The staff comprises not more than six people (excluding housekeeping) but still there's never a dull moment. The Cafe Manager, Mr. Manoranjan Kumar Singh, personally ensures that guests are having a good time. 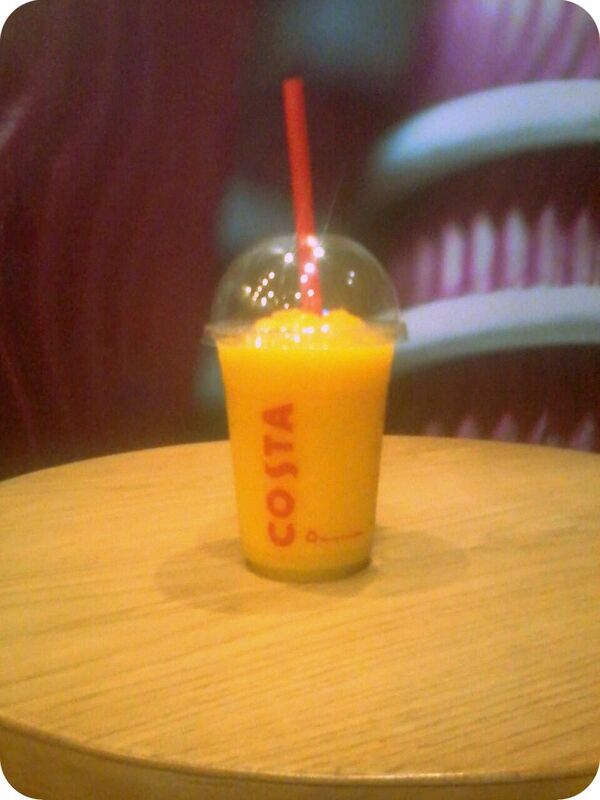 Thus you'll always find regular customers like yours truly frequenting Costa. The cafe is quite popular with families as well. My only wish is that the outlet expands a wee bit, as currently it can only accommodate 40 people. Also, the décor and lighting could be better. I like the fact that I can carry my laptop or tablet inside Costa and connect to the Internet through Wifi. Also, the light Western music playing in the background doesn't hurt, especially when all songs are the latest. The cafe is open from 10am to 10pm, and yet, I have never found the place to be over-crowded. 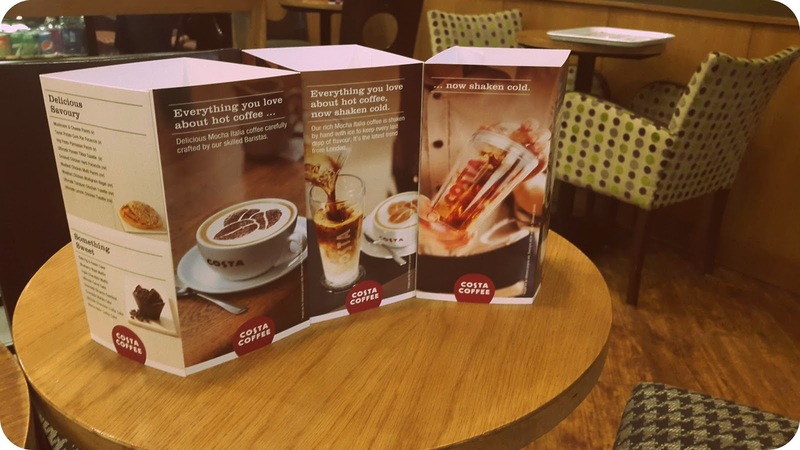 With fierce competition from Starbucks and Cafe Beans, Costa is constantly reinventing its menu. For instance, they have launched five new Summer specials - Iced Expresso, Iced Macchiato, Iced Ristretto, Iced Chai Latte, and Iced Chocolate. This is the only way to grow and make inroads into our hearts.